Tags: Chiffon, Formal, Frock, Heavy, Light Fawn, Walima & Second Day. 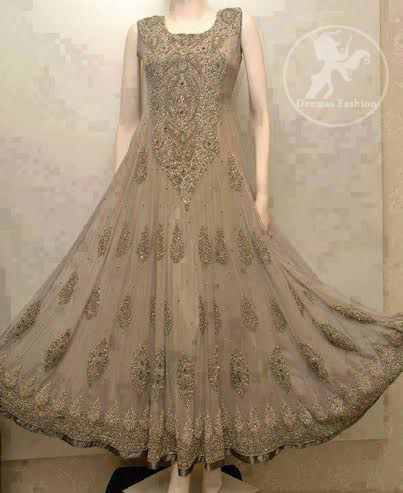 Dark fawn anarkali embroidered with antique zardosi on neckline, hemline and motifs all over it. Pure crinkle chiffon dupatta and Churidar Pajama.